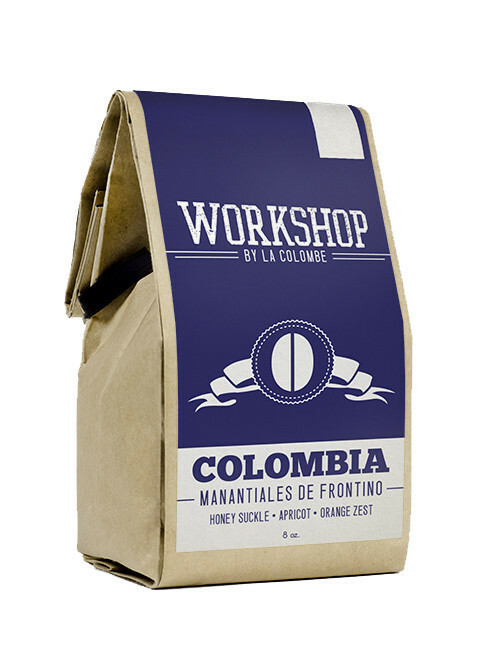 Our Colombia – Manantiales De Frontino is now available for purchase at the La Colombe online store. Geisha is a natural variation of the coffee plant that grows tall with long slender leaves and large curved seeds. Although the Geisha variety was first found in Ethiopian and later brought to Costa Rica. It was only once the seeds reached the southern Panama that they soared to fame. In 2004, a Geisha easily won the Best of Panama coffee competition. Since then Geisha has fetched higher prices at auctions and garnered more awards than any other coffee because of its excellent fragrance and flavor. Geisha coffees are known for extremely saturated sweetness and intense floral aromas. The Froimivich family in Colombia purchased the Geisha seeds and it has taken them eight years to learn how to properly care for this delicate varietal of coffee because the plant requires much more frequent attention. Their hard work paid off when this coffee won the coveted Coffee of the Year Award, an award created by the Specialty Coffee Association of America.